For 30 of the NFL’s 32 teams, the offseason is already underway. Here is the latest installment of our 2017 NFL Free Agent Power Rankings, which is comprised only of upcoming unrestricted free agents, and is ranked by projected guaranteed money. In parentheses next to each player, you’ll find their position in the early January edition of the rankings. For more, check out our master list of all 2017 free agents. 1. Kirk Cousins, QB (1): Cousins may not be the best player on this list, but he will come away with the most guaranteed money of any free agent this offseason. 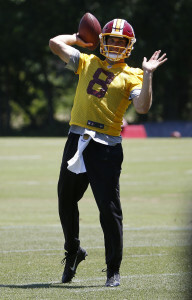 Quarterbacks are perpetually in high demand and short supply and as a result Cousins could become one of the league’s three highest paid signal callers. Because Washington has already used the franchise tag on Cousins, a repeat would cost them a whopping $23.94MM for 2017. The belief is that Cousins is seeking that $23.94MM number as an AAV goal. There has been talk of the Redskins shopping their star QB, but the team has since publicly stated its intention of locking him up to a long-term deal. 2. Chandler Jones, LB/DE (2): Jones has been an absolute stud ever since entering the league as a first-round pick in 2012. If we go by the numbers at Pro Football Focus, 2016 was actually Jones’ best year to date. This past season, he finished out with a strong 87.4 overall score, tying him for seventh amongst all edge rushers with Houston’s Whitney Mercilus. In the previous four seasons with New England, Jones averaged a 79.38 on PFF. Every team could use a sack machine like Jones, but coach Bruce Arians says the Cardinals will place the franchise tag on him if they cannot agree on a long-term deal. He’s technically ticketed for unrestricted free agency, but it doesn’t sound like Jones is going anywhere. 3. 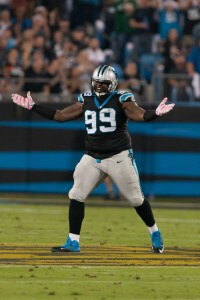 Kawann Short, DT (3): Unlike former teammate Josh Norman, Panthers defensive tackle Kawann Short says he won’t have any problem signing the franchise tender if the team tags him. “I wouldn’t fight it or anything,” said Short in early January. In 2016, he turned in his fourth straight 16-game season and ranked as Pro Football Focus’ fourth-best interior defender. Short, 28 this week, also had six sacks on the year. I think the Panthers would be wise to hit Short with the ~$13.468MM franchise tag or sign him to a long-term deal, but there is at least a non-trivial chance of him reaching the open market. 4. 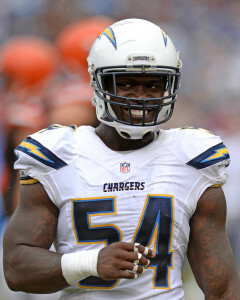 Melvin Ingram, LB (5): The Chargers are moving to Los Angeles, but it remains to be seen whether they will be bringing Ingram with them. Ingram has established himself as one of the game’s brightest young edge rushers, so retaining him will cost a pretty penny. Ingram shed the first-round bust label in 2015 and in 2016 he proved himself all over again, silencing doubters and cementing his major payday this spring. When Ingram celebrates his 28th birthday in April, he’ll be a much richer man regardless of where he winds up. 5. Alshon Jeffery, WR (4): In our first installment of the Free Agent Power Rankings, Dallas Robinson had Jeffery ranked No. 3 overall. However, that was before his four-game suspension for performance-enhancing drugs. Once considered an elite talent at the wide receiver position, Jeffery now seems like more of a second tier type after two disappointing seasons. A second franchise tag would cost the Bears quite a bit and it seems like they’re ready to move on, so you can expect to see him reach the open market. Some team out there will roll the dice on Jeffery, hoping that they can get a stud WR at a discount price. 6. Dont’a Hightower, LB (6): Unlike the aforementioned players, Hightower has bigger fish to fry before he starts thinking about free agency. This Sunday, Hightower has an opportunity to seize his second career Super Bowl ring. After that – win or lose – we’re expecting the Pats to act fast and lock up Hightower for the foreseeable future. The Pats’ decision to jettison Jones and Jamie Collins didn’t slow them down in 2016, but they’d be downright crazy to let Hightower get away. Without those two defensive stars to consider, New England should have enough room to get something done with Hightower before free agency starts. 7. A.J. Bouye, CB (8): Bouye is a fascinating free agent case. This year, he graded out as PFF’s No. 3 cornerback in the NFL and he continued to get the job done in the Texans’ two postseason games. He also doesn’t turn 26 until August. The trouble here is that his 2016 performance pretty much came out of the blue. With no real resume to show for his first three years in the NFL, teams are looking at Bouye with a healthy bit of skepticism. There is mutual interest between the corner and the Texans in a reunion. 8. Kevin Zeitler, G (9): Teams looking to beef up their O-Line will be on the horn with Zeitler’s reps as soon as they are allowed (and maybe a little before that point). As of January 14th, Zeitler has not discussed a new deal with the Bengals and it seems possible they will let him ascertain his value on the open market. Zeitler, 27 in March, was PFF’s No. 7 ranked guard in the NFL this year. In 2014 and 2015, he earned similar scores for his work. Kelechi Osemele got a five-year, $58.5MM deal from Oakland last year and that could be in play for Zeitler if he is on the board in early March. 9. Calais Campbell, DL (10): After turning in one of the best seasons of his career, Campbell is in line for another healthy payday. The Cardinals were probably planning to move on from the former University of Miami star after landing Jones in 2016, but they’ll have to give real consideration to keeping both players, if they can swing it. If they can’t, the durable defensive lineman will get paid elsewhere after notching 53 total tackles and eight sacks in 2016. The only thing really working against Campbell here is his age. He’ll turn 31 just before Week 1 of the 2017 season. 10. Le’Veon Bell (NR): Bell gets listed here for his tremendous ability, but there’s little chance that he actually reaches the open market. The Steelers have already made it clear that they will use the franchise tag on the running back and we expect the two sides to shake hands on a long-term deal soon after. If it happens, that deal should easily best LeSean McCoy‘s ~$8MM AAV and Doug Martin‘s $15MM in guarantees. The regular season is over and, for most teams, the offseason is underway. Here is the latest installment of our 2017 NFL Free Agent Power Rankings, which is comprised only of upcoming unrestricted free agents, and is ranked by projected guaranteed money. In parentheses next to each player, you’ll find their position in the November edition of the rankings. For more, check out our master list of all 2017 free agents. 1. Kirk Cousins, QB (1): In 2015, Cousins established himself as a solid NFL quarterback. That summer, the Redskins told Cousins they wanted him to prove it all over again before giving him a monster contract. Cousins was happy to oblige and he has now increased his value even further. After a so-so start to 2016 season, Cousins closed out strong to finish as Pro Football Focus’ No. 8 ranked QB, putting him ahead of notables such as Matthew Stafford, Ryan Tannehill, Andy Dalton, Ben Roethlisberger, Cam Newton, and Philip Rivers. All of those players have gotten their big pay day and now it’s time for Cousins to join the club. 2. Chandler Jones, LB/DE (2): Before you start salivating over the idea of Jones joining your favorite team’s front seven, we have some bad news: Bruce Arians says the Cardinals will place the franchise tag on him if they cannot agree on a long-term deal. Whether it’s on a one-year, $16.955MM deal or a multi-year contract that tops Olivier Vernon‘s Giants deal, it sounds like Jones is staying put. Jones, 27 in May, played in all 16 games this year and racked up 11 sacks. 3. Kawann Short, DT (4): Contract talks between the Panthers and Short stalled last summer and Fletcher Cox‘s market-boosting deal with the Eagles didn’t help matters. Short wound up playing 2016 for peanuts ($1.473MM) and he turned in yet another stellar season. Short was the fourth-best interior defender in the league this season, per Pro Football Focus, and his 87.7 overall score was roughly the same as his 2015 mark, even though he had five less sacks. In June, it was said that the Panthers did not want to go too far beyond an average annual salary of $15MM. If he’s not franchised tagged or signed to a long-term deal by Carolina, there are a few teams that will happily go beyond that point. 4. Alshon Jeffery, WR (3): Despite a down year, Dallas Robinson gave Jeffery the benefit of the doubt last time and ranked him as our No. 3 free agent based on his past work. That was one week before his four-game suspension for performance-enhancing drugs. Jeffery claimed that he took “a recommended supplement to combat inflammation” without realizing that it contained something that was on the league’s banned list of substances. That may be true, but Jeffery needed to rebound from his injury-shortened 2015 with a full, productive season in order to restore his stock. Teams will cut him some slack given the Bears’ quarterback issues, but he might not approach the deals of Julio Jones, Demaryius Thomas, and Dez Bryant. 5. Melvin Ingram, LB (6): Ingram broke out in 2015 and in 2016 he proved it wasn’t a fluke. Now with back-to-back seasons as one of the league’s better edge rushers, Ingram is poised to cash in. Ryan Kerrigan‘s five-year, $57.5MM extension with the Redskins has been suggested as a comp, but I expect Ingram to top that deal. This is nearly two years later and the projected cap increase should benefit all players. 6. Dont’a Hightower, LB (6): Hightower has been a stud for the Patriots ever since entering the league as a first-round pick in 2012. Charged with anchoring the defense at inside linebacker, Hightower doesn’t have gaudy stats, but the advanced numbers illustrate how good he is. This year, he graded out as the No. 13 off-ball LB in 2016, according to PFF, which ranks him as the best pass-rushing inside ‘backer in the league. He’s consistent too, with even better scores in 2014 and 2015. The Patriots moved on from Jones and Jamie Collins last year but they do not want to lose Hightower. 7. 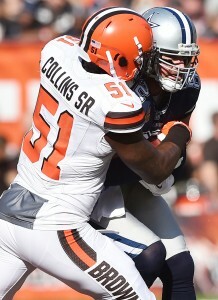 Jamie Collins, LB (5): Heading into his contract year, Collins was determined to put up big numbers. He was so driven to increase his value, reports say, that he began “freelancing,” or making ill-advised choices in order to be the first defensive player to the ball. The Patriots subsequently traded him away for peanuts, and that’s not a great endorsement for him. On top of the character concerns, Collins will have to answer for a down year that cast him as just above average rather than the top ten ‘backer he was in the previous two seasons. 8. A.J. Bouye, CB (9): Before this season, you could have been forgiven for not knowing Bouye’s name. Now, there’s no excuse. Bouye burst out of obscurity in 2016 and he now looks the part of a No. 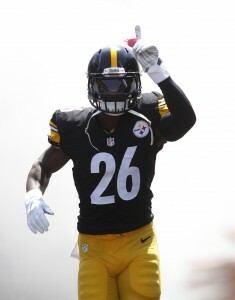 1 cornerback. The best part is that he doesn’t turn 26 until August, making him the youngest player on this list. I predict that Bouye will outearn every other corner in this class, a group that includes guys like Trumaine Johnson, Stephon Gilmore, and Morris Claiborne. 9. Kevin Zeitler, G (8): Zeitler made the jump from good to great in 2014 and never looked back. This year, he stands as PFF’s No. 7 ranked guard and the No. 1 guard bound for the free agent market. T.J. Lang is a close second according to the advanced metrics, but Zeitler is more than two years younger than Lang and should easily surpass him in guarantees. Kelechi Osemele‘s five-year, $58.5MM deal could be in reach for the Bengals lineman if enough teams get in on the bidding. 10. Calais Campbell, DL (NR): When the Cardinals acquired Jones from the Patriots, many believed that Calais Campbell was a goner in Arizona. Now, after what is arguably a career season, the Cardinals are probably singing a different tune. Defensive lineman Michael Bennett recently signed a three-year extension with the Seahawks worth $31.5MM with $17.5MM in guarantees. Campbell should have no trouble beating that, especially since he is a year younger and coming off of a better season. Le’Veon Bell (10): Most running backs don’t get big bucks in free agency, but most of them don’t run like Bell. This year, he reminded everyone of his pass-catching abilities and even did some of his damage lined up at wide receiver. Bell should easily best LeSean McCoy‘s ~$8MM AAV and Doug Martin‘s $15MM in guarantees this offseason. 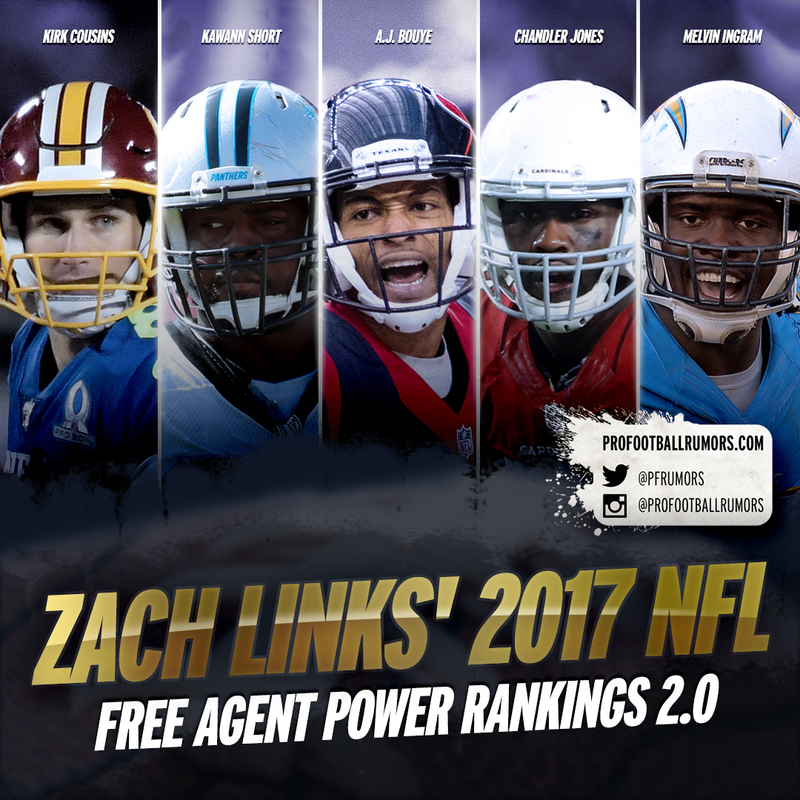 We’re halfway through the 2016 regular season, so let’s turn our attention to the offseason for a moment and take a look at the first installment of our 2017 NFL Free Agent Power Rankings. This list is comprised only of upcoming unrestricted free agents, and is ranked by projected guaranteed money. For more, check out our master list of all 2017 free agents. 1. Kirk Cousins, QB: Cousins isn’t the best overall player on this list, but because of the nature of the quarterback position, he should easily secure the most guaranteed money on the open market next spring. While Cousins started the season slow as the Redskins limped to an 0-2 record, he’s rebounded over the past six games, completing two-thirds of his pass attempts for 11 touchdowns and four interceptions. On the season, Cousins ranks eighth in yards per attempt, and — if you prefer advanced metrics — seventh in DYAR and ninth in DVOA, per Football Outsiders. Given that his numbers are nearly in line with his 2015 statistics, Washington might very well franchise tag him again, albeit at a cost of more than $23MM. Alternatively, Cousins should target in excess of $40MM guaranteed in free agency. 2. Chandler Jones, LB/DE: Days after acquiring Jones in exchange for a second-round pick in March, Cardinals head coach Bruce Arians expressed confidence that his club would be able to re-sign its new edge rusher for 2017 and beyond. “When he hits free agency, we’ll have the dollars to make sure he stays,” said Arians. With more than $37MM in projected 2017 cap space, Arizona should be able to keep Jones, and they’ve already begun discussing an extension. Jones, 26, started out the season hot with a sack in each of the first four games, and while he’s cooled in terms of quarterback takedowns, he still ranks as Pro Football Focus‘ No. 3 edge defender. Olivier Vernon‘s five-year, $85MM deal ($52MM guaranteed) should be Jones’ target. 3. Alshon Jeffery, WR: Like Cousins, Jeffery is playing out the 2016 campaign on a one-year franchise tag, earning a salary of more than $14.5MM. While dealing with subpar quarterback play in Chicago, Jeffery is still posting a solid season, as his 16.2 yards per catch not only ranks 13th in the NFL, but is the best figure of Jeffery’s career. As usual, the 26-year-old Jeffery has been dinged up this season, but he’s managed to avoid missing a single game. Back in June, Bears general manager Ryan Pace said he was optimistic the club could extend Jeffery after the season, but given that Jeffery’s only other positional competition on the free agent market will be a converted quarterback (Terrelle Pryor) and a receiver who has face-planted in 2016 (Michael Floyd), he should easily top $14MM per annum. 4. Kawann Short, DT: With only two sacks through seven games, Short probably isn’t going to match his 2015 total of 11 quarterback takedowns, but he’s still been a highly effective presence on the interior of Carolina’s defensive line. The Panthers’ front four ranks in the top ten in both run and pass defense, according to FO, and Short has been a large part of that success, grading as the 10th-best defensive tackle in the NFL, per PFF. With quick passing attacks becoming more popular around the league, the ability to generate interior pressure is more important than ever. Short can provide just that, and should be able to secure a hefty contract after being unable to work out a deal with Carolina over the offseason. 5. Jamie Collins, LB: Collins’ contract status has been the subject of much discussion after he was traded from the Patriots to the Browns last week — while Collins has disputed that he wants “Von Miller” money (six years, $114.5MM), other reports have indicated that Collins wants to beat Luke Kuechly‘s $12.36MM annual salary. Despite insinuations that Collins was “freelancing” on New England’s defense, he’s still a highly talented player against both the run and pass, and if Cleveland opts to use him as more of a pure edge rusher, he could be in line for an even larger contract. The Browns haven’t talked contract with Collins yet, but there’s almost no chance they’ll let him go after sacrificing a conditional third-rounder to acquire him. 6. Melvin Ingram, LB: A former first-round pick, Ingram finally blossomed in 2015, when he started all 16 games and registered 10.5 sacks, good for 12th in the NFL. Injuries had limited Ingram in seasons prior, and it wasn’t minor ailments that sidelined him — an ACL injury wiped out most of his 2013 campaign, while a hip issue caused him to miss six games in 2014. But after proving his health last year and thus far in 2016, Ingram should be able to garner a nice deal on the open market, as edge rushers are often in short supply. For what it’s worth, Ingram changed agents this summer, opting to join Roc Nation. 7. Dont’a Hightower, LB: Now that two other players on this list — Jones and Collins — have been shipped out by Bill Belichick & Co., the Patriots seem to be indicating that Hightower is the man they want to keep around. 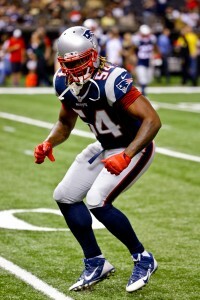 Hightower, 26, was reportedly one of several Patriots who were offered team-friendly deals by the club earlier this year, but no agreement has been reached to this point. Officially elected as a captain prior to this season, Hightower is viewed as a leader of New England’s defense, and has graded as the No. 7 off-ball LB in 2016, according to PFF, which ranks him as the best pass-rushing inside ‘backer in the league. 8. Kevin Zeitler, G: Zeitler placed a Week 1 deadline on extension talks with the Bengals, and given that no deal came to fruition, he’ll reach the free agent market next spring barring the franchise tag (which is highly unlikely for a guard). Cincinnati has already committed to its other guard, Clint Boling, re-signing him to a four-year deal prior to the 2015 campaign, so it’s unclear if the club would hand money to another interior lineman. But Zeitler has been the mark of consistency since being drafted in the first round of the 2012 draft, and should score a large contract wherever he lands. Fellow guard T.J. Lang will be his primary competition in free agency, but at 26, Zeitler is more than two years younger than the Green Bay lineman. 9. A.J. Bouye, CB: Perhaps the first surprise on this list, Bouye has become a breakout star in his fourth NFL season, grading as PFF’s No. 1 overall cornerback. 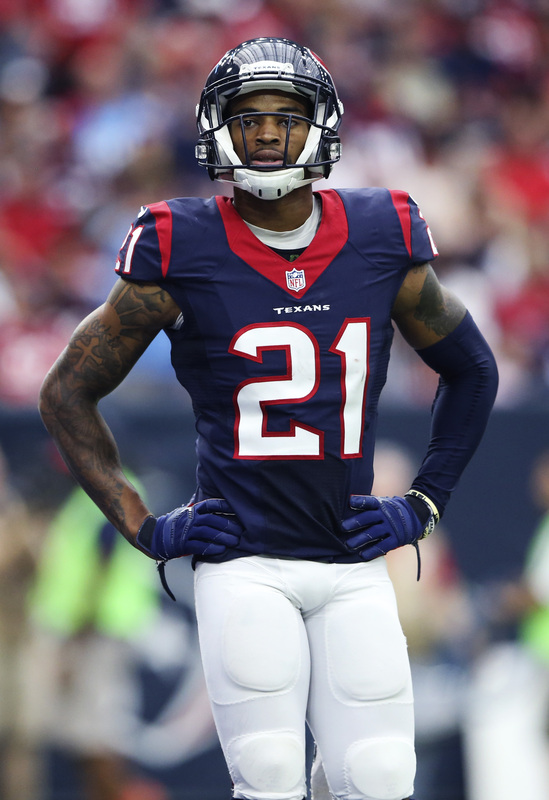 The concerns are obvious: Bouye has started all of 12 games during his four-year career, andhas only started half of Houston’s games this season. And he’ll face a lot of positional competition in free agency, as Trumaine Johnson, Stephon Gilmore, and Morris Claiborne will be among the other corners on the open market. But at 25, Bouye is younger than all of those options, and could see earnings based on his upside. Peter King of TheMMQB.com recently predicted Bouye could get $8MM annually as a free agent. 10. Le’Veon Bell, RB: Listing a running back on a ranking such as this is typically anathema, as backs simply don’t earn in free agency, regardless of their talent level. Bell could be different, however, as his ability both as a runner and as a pass-catcher is exceedingly valuable in today’s NFL. The risks are there: injuries and suspensions litter Bell’s career, and many clubs might be wary of locking him up. But it only takes one team to envision what Bell could add to its offense, and subsequently sign him to an expensive deal. The Steelers aren’t currently negotiating with him, but Bell should be able to surpass the $15MM guaranteed that Doug Martin received last offseason. Others considered: Eric Berry, Calais Campbell, Stephon Gilmore, Tony Jefferson, Trumaine Johnson, T.J. Lang, Nick Perry, Dontari Poe, Ryan Schraeder. In the four weeks since the first edition of our Free Agent Power Rankings, two players listed (albeit, as honorable mentions) have inked extensions, as defensive end Derek Wolfe agreed to a four-year, $36.75MM pact with the Broncos, while fellow defensive end Mike Daniels signed a four-year, $42MM deal with the Packers. There’s still an impressive crop of 2016 free agents heading for the open market, however, so let’s check in on the status of the top unrestricted free agents, ranked by projected guaranteed money. 1. Von Miller, LB: Miller did nothing over the final four weeks of the season to lose his top spot, picking up two sacks (to finish the year with 11) while being named both a first-team All Pro and and Pro Bowler. Nothing has changed regarding his contract expectations, but the Broncos’ quarterback situation could have an effect on Miller’s status. Denver probably won’t have to worry about using the franchise tag on Brock Osweiler now that he’s lost his starting job, meaning the tag will be in play for Miller. 2. Alshon Jeffery, WR: Jeffery missed two of the season’s final four games, and was ultimately placed on injured reserve prior to Week 17. He only played in nine games on the year, but it’s hard to think that his nagging injuries will affect his free agent stock, as most teams will likely assume he’ll be at full health by next season. 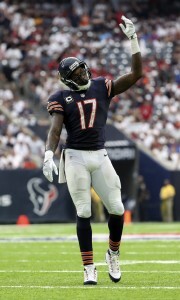 And Jeffery was productive when he played, averaging nearly 90 yards per game, and the Bears are open to an extension. Jeffery doesn’t sound as amenable to such an offer, however, so the threat of the franchise tag looms. 3. Kirk Cousins, QB: Perhaps no player in the league did more over the last four weeks of the regular season to help their stock than Cousins, who completed 74% of his passes for nearly 1,200 yards, while posting a 12:1 touchdown-to-interception ratio to go along with a 134.0 quarterback rating. 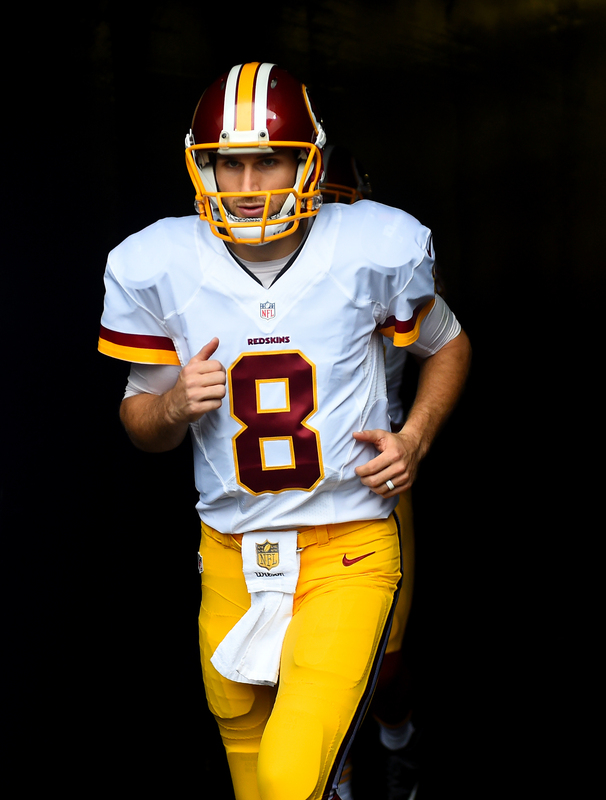 Washington has made it clear that it will retain Cousins one way or another, and they’ve indicated that a long-term extension is the preferred option. Just 27 years old and having shown he can serve as a franchise QB, Cousins could ask for the Ryan Tannehill contract ($77MM total, $21.5MM guaranteed) — or more. 4. Kelechi Osemele, G/T: Osemele moves up from sixth to fourth primarily due to the Ravens’ decision to play him at left tackle for the final three games of the season. Already an outstanding guard, the ability to handle tackle only increases Osemele’s value, and Baltimore agrees, as a report last month indicated that the club would be willing to pay up for a quality left tackle (whereas they probably couldn’t justify retaining Osemele as a guard given that they’ve already extended Marshal Yanda). Osemele himself sounds optimistic about his chances to stay, noting that he had a positive end-of-the-year conversation with GM Ozzie Newsome. 5. Josh Norman, CB: Compared to Norman’s outstanding first three-quarters of the regular season, it’s difficult to call his final four games anything other than a disappointment. He was still a solid corner, to be sure, but he wasn’t the top-notch standout he had been during Weeks 1-13. For example, when I listed Norman on the first edition of these rankings, he graded as the league’s No. 1 corner, per Pro Football Focus — but he finished the season at No. 13, indicating a precipitous dropoff. At 28, he’s a little older than a typical first-time free agent, so he might need to set his sights a little lower than the Richard Sherman/Patrick Peterson territory. 6. Muhammad Wilkerson, DE: Wilkerson suffered an unfortunate injury in Week 17, breaking his leg in a loss against the Bills that prevented the Jets from earning a playoff berth. He should be able to fully recover by the start of the regular season, but there is a chance that he’ll miss some training camp activity. New York has expressed an interest in re-signing Wilkerson, but with a defensive line already chock full of talent, the club’s best route might be assigning him the franchise tag and then attempting to trade him, a possibility that has been floated. 7. Sam Bradford, QB: Bradford’s first season in Philadelphia is a little hard to value production-wise. He ranked 11th in completion percentage, 18th in passing yards, 22nd in touchdowns, and 26th in quarterback rating. Pro Football Focus graded him as the 11th-best QB, but he ranked just 26th in Football Outsiders’ DYAR (a metric that grades performance against replacement level). Bradford didn’t put up the type of numbers that some thought he might in Chip Kelly‘s offense, but the fact remains that QBs get paid. With so many teams looking for mere competency at the position, Bradford will earn a nice contract. 8. Cordy Glenn, T: Recently-extended Bills GM Doug Whaley said last week that re-signing both Glenn and fellow offensive lineman Richie Incognito would be a “major point of emphasis” this offseason. While Incognito should only require a short-term deal, Glenn will want both a longer contract and more money. The 26-year-old Glenn was outstanding this season (PFF’s No. 10 tackle) and is nothing if not durable — he’s only missed three games in his career, all during his rookie season. 9. Russell Okung, T: Okung has name value after being a former top-10 pick, but his play has continued to deteriorate (he slid all the way to No. 32 among tackles per PFF).Okung will probably point to the extensions signed by Trent Williams and Tyron Smith as he negotiates his next deal, but the fact is that he’s not that caliber of player. I wonder if he might get a little bump simply by being a part of successful team in Seattle, but I predict he’ll come up short of his contractual target. 10. Eric Berry, S: Berry has moved down a few spots since the previous edition of our rankings, but that’s not because of his production. Safeties just don’t get paid like other positions included here do, and while Berry could certainly hit the $9MM/year mark, his guarantees likely won’t match what the quarterbacks, tackles, pass-rushers, corners, and receivers earn. Still, it should be all good news for Berry this offseason, and he’s certainly the favorite for Comeback Player of the Year. Dropped out: Brock Osweiler, QB. 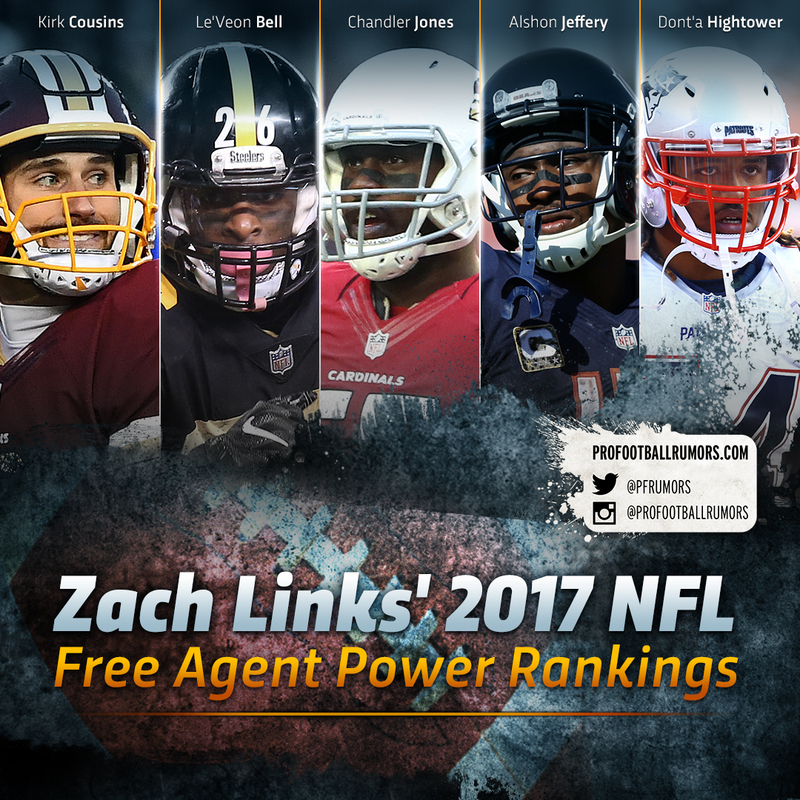 There are still four weeks left in the regular season, but let’s turn our attention to the offseason for a moment, and take a look at the first edition of our 2016 NFL Free Agent Power Rankings. This list — compiled using our list of 2016 free agents — is comprised only of upcoming unrestricted free agents, and is sorted by projected guaranteed money. 1. 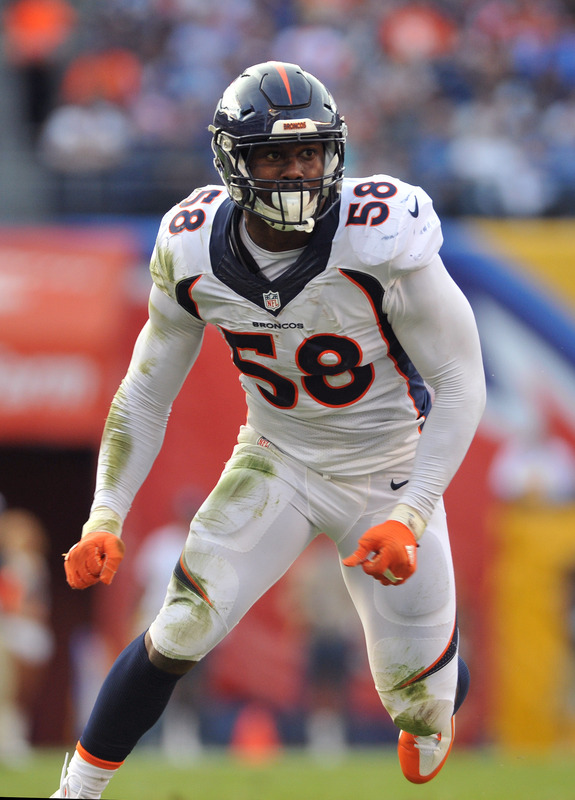 Von Miller, LB: The 26-year-old Miller has the highest draft pedigree of any player on this list, having been selected second overall back in 2011. He’s certainly lived up to that draft billing, posting 58 sacks in 68 starts during his five years in the league. The advanced metrics like Miller as well, as he grades as the fourth-best edge defender in the NFL per Pro Football Focus (subscription required), which also rates him as the best pure pass-rusher at his position. PFR’s Luke Adams examined Miller’s extension case last November, projecting a five-year deal in the neighborhood of $75MM, but given that Miller has continued his high level of production in the year-plus since, I think it’s fair to argue that he’ll garner even more. His target will be Ndamukong Suh‘s ~$19MM average salary, and while he might not get there, $18MM annually isn’t out of the question. 2. Alshon Jeffery, WR: Injuries have hampered Jeffery thus in 2015, as he’s been limited to playing in only seven of 12 games. But when he has been active, he’s been as consistent as ever, averaging nearly 100 yards per game through the air while acting as the only reliable option in the Bears’ passing attack. Jeffery is as good a candidate as any to receive a franchise tag next spring, as he’s not only the real option for such a tender on the Chicago roster, but he’s easily the best receiver of the 2016 free agent class. Such a tender will obviously hinder his market value (at a one-year cost of about $14.5MM, per Joel Corry’s projections), but otherwise he’d be in line for a Julio Jones-esque deal: five years at more than $14MM per season. 3. Josh Norman, CB: Like Jeffery, Norman will almost certainly be franchise-tagged, essentially locking him onto the Panthers’ roster while the two sides attempt to knock out an extension. It’s been a true breakout season for Norman, who turns 28 years old on Tuesday — through Week 13, he grades as the best corner in the league (per PFF), just a touch better than Tyrann Mathieu. I looked at Norman’s case for an extension last month, arguing that Norman has certainly earned the going rate for top cornerbacks: five years, $70MM or so. That $14MM AAV would put him right in line with the league’s other top defensive backs, such as Darrelle Revis, Richard Sherman, and Patrick Peterson. 4. Muhammad Wilkerson, DE: Trade rumors surrounded Wilkerson during the draft following the Jets’ selection of Leonard Williams, who was added to an already loaded New York defensive line that also fields Sheldon Richardson and Damon Harrison. Wilkerson ultimately stuck with Gang Green, but cut off extension talks before camp, determined to play out his current contract. Not only has Wilkerson continued to exhibit his high level of play, but he’s remarkably active, having played the fifth-most snaps of any defensive lineman in the league. He’s another candidate for the franchise tag, as he’ll be likely be looking for a contract that makes him the second highest-paid 3-4 defensive end (after J.J. Watt). PFR’s Rob DiRe profiled Wilkerson — and his case for a new deal — in July. 5. Russell Okung, T: The 28-year-old Okung hasn’t always been the most consistent or the most durable player, as he missed an average of four games during the first five years of his career. But he’s got a first-round pedigree, and he’s been a part of one of the more successful clubs in the NFL during the past few seasons (including perhaps the preeminent running game). As Jason Fitzgerald of Over the Cap noted earlier this week, Okung — playing on one of the last surviving contracts signed under the old CBA — has already set a floor for talks with his six-year, $48.5MM rookie deal. He probably won’t match the $13MM annual salary reached by Trent Williams earlier this year, but Okung could aim for the second tier of tackle contracts ($10-11MM per year). I looked at Okung as an extension candidate earlier this year. 6. Kelechi Osemele, G: The Ravens likely won’t re-sign Osemele, having already handed fellow guard Marshal Yanda a four-year, $32MM deal earlier this year. I actually thought Yanda, who might be the single best interior lineman in the NFL, took less than he was worth, and I expect Osemele to not only aim higher, but seek to top the five-year, $40MM ($15.75MM guaranteed) contract inked by Mike Iupati last offseason, a topic I broached in my analysis of Osemele and Yanda’s extension arguments. He’d be worth the money, as he ranks as the fifth-best guard in the league per PFF (Yanda, ever the stalwart, ranks first). 7. Cordy Glenn, T: Glenn has perhaps the least name value of any on this list, as the former second-round pick has spent the entirety of his career in the relative anonymous confines of Buffalo. He’s been incredibly durable (just three missed starts in his career, all during his rookie season), and he’s performing quite well in his platform year, grading as the sixth-best tackle in the league per PFF. Glenn is solid option, not a star, but despite the decreasing disparity in importance between left and right tackles, those who protect the blind side still earn the bigger contracts. 8. Eric Berry, S: Perhaps the best story in the NFL this season, Berry is not only cancer-free about a year after being diagnosed with non-Hodgkin’s lymphoma, but he’s playing the best football of his career, ranking as the league’s best overall safety per PFF. I expect he’ll return to the Chiefs, the club that drafted him with the fifth pick in 2010 (and the only team he’s ever played for). But there could be a hefty contract available on the free agent market, as safety salaries have steadily risen in recent years. Like Okung, he already scored a large rookie deal (more than $8MM annually), so he’ll probably be looking for more this time around. He’ll probably slide in just under Earl Thomas and Devin McCourty at $9MM per year or so. 9. Brock Osweiler, QB: The first wild card on the list, Osweiler has only three career starts to his name, but he is set up to earn a significant contract in free agency. His numbers thus far aren’t world-beating — he’s averaging just 208 yards passing per game while completing about 61% of his passes — but the dearth of quarterback talent in the NFL at the moment cannot be overstated. Any signal-caller who displays even a modicum of competence is potentially in line for a nice deal (let’s not forget Nick Foles garnered $12MM in guarantees this offseason). Also in Osweiler’s favor: Denver will likely use its franchise tag on Miller, meaning Osweiler could hit the open market unfettered. 10. 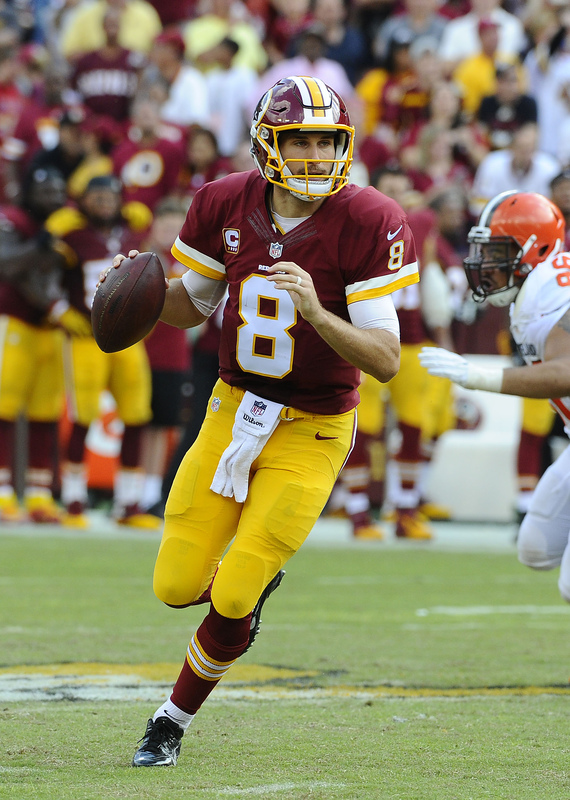 Kirk Cousins, QB: The fact that the NFL has seen more of Cousins than Osweiler is, in my mind, a strike against the Washington quarterback — in other words, the league has seen the poor game tape of Cousins, where as Osweiler is still mostly projection. Still, there’s no denying that Cousins has played better football this year, and while he probably isn’t a candidate for the franchise tag, I’d be surprised if Washington doesn’t seek to work out a long-term deal. Also considered: Kelvin Beachum, Mike Daniels, Malik Jackson, Olivier Vernon, Eric Weddle, Derek Wolfe. 1. Ndamukong Suh, DT: Already among the best available free agents heading into the stretch run, Suh ramped up his level of play during the last six games of the year, racking up four sacks and 21 tackles. He then posted a dominating performance during the Lions’ wild card round loss to the Cowboys, sacking Tony Romo twice, hurrying him five times, and registering his third-highest grade of the season per Pro Football Focus (subscription required). Detroit general manager Martin Mayhew recently said the club would “leave every option open” with regards to retaining Suh, who turned 28 six days ago, but recent reports suggested that as many as 10 teams could be prepared to make “titanic pitches” to the star defensive tackle. PFR’s Luke Adams recently examined several Suh-related scenarios that could play out in the coming months, including the Lions working out a long-term agreement, using the franchise tag, or allowing the 2014 All-Pro to walk. 2. Justin Houston, OLB: Like Suh, Houston’s production in the final leg of the season was outstanding, as he posted an astounding nine sacks and 22 tackles during the Chiefs’ final five games — he took down Chargers quarterback Philip Rivers four times in Week 17 alone, hurrying him another three times. He finished the year with 22 sacks, which led the league and was just a half-sack shy of matching Michael Strahan’s all-time record. Houston, who turns 26 next Wednesday, graded out as the No. 1 3-4 outside linebacker per PFF; his +51.1 score was nearly double that of Pernell McPhee, the No. 2 finisher. There hasn’t been much news regarding Houston as of late, but the more time that passes without a long-term deal being agreed upon, the more likelier it becomes that Kansas City places the franchise tag on its pass-rusher. 3. Dez Bryant, WR: In November, reports indicated that Bryant’s camp didn’t believe they would agree to a multiyear pact with the Cowboys, meaning the star pass-catcher is likely to be franchise-tagged. Dallas has reportedly offered Bryant an extension worth $114MM over 10 years, but with just $20MM guaranteed. With the franchise tag figure for receivers expected to approach $13MM in 2015, it would make little sense for Bryant to accept such a deal. Bryant, who earned just $1.78MM in base salary this season, finished the year with 88 receptions for 1,320 yards and 16 touchdowns. 4. Demaryius Thomas, WR: Thomas, who turned 27 on Christmas Day, was solid down the stretch, averaging six receptions for 86 yards and a score over the Broncos’ final six games, before tacking on five catches for 59 yards and a touchdown in Denver’s playoff loss to the Colts on Monday; on the season, he caught 111 balls for more than 1,600 yards. In December, Thomas indicated that he was open to accepting a hometown discount to remain in Denver, noting that he was fond of playing with Peyton Manning. Now, with Manning’s future uncertain and the entire Broncos organization in a state of upheaval, it’s unclear if Thomas would offer those same sentiments. His preferences will likely be determined by the choice of head coach and Manning’s decision on retirement, but the club ultimately will have final say: if an extension can’t be worked out, the Broncos will almost certainly franchise-tag Thomas. 5. Jason Pierre-Paul, DE: Perhaps no player did more to raise his stock during the final stretch of the season than Pierre-Paul. During the Giants’ final six games, he registered nine sacks, five QB hits, and 15 QB hurries — also a stout run defender, JPP finished as PFF’s No. 6 overall 4-3 defensive end. Giants owner John Mara said in December that he’d be very surprised if Pierre-Paul wasn’t with New York next season, but JPP has been adamant that he won’t accept a hometown discount to stay with the team that drafted him in the first round in 2010. PFR’s Rory Parks took a look at Pierre-Paul’s contract situation last month, and estimated a contract in the neighborhood of five years, $80MM for the pass-rusher. 6. Randall Cobb, WR: One of only two members of this list who plays for a team that remains in the postseason, Cobb was able to stay healthy for all of 2014, something he’s had trouble with in the past. As of mid-December, there was no movement on extension talks between Cobb and the Packers. Cobb, who caught 91 passes for 1,287 yards and 12 touchdowns this season, could seek to match the five-year, $35MM contract signed by Eric Decker last offseason. As Luke noted in the link above, however, Green Bay may want to ensure that Cobb doesn’t earn more than No. 1 receiver Jordy Nelson, who inked a four-year, $39MM extension during the summer. The youngest player on this list, Cobb won’t turn 25 until August. 7. Devin McCourty, S: With Harris off the board, McCourty is now the top defensive back available among free agents. Aside from Brandon Flowers (who will be 29 when next season begins) there aren’t many options at cornerback, so teams looking for secondary help will have to turn to McCourty, who stands alone in a FA safety class that contains middling players like Chris Conte and Rahim Moore. McCourty, 27, will hit free agency with his stock high — he rated as the league’s eighth-best safety per PFF after racking up 54 tackles and two interceptions for the Patriots this season. On December 14, Jeff Howe of the Boston Herald reported that there was “nothing happening” between McCourty and New England regarding an extension. I examined McCourty, a 2010 first-round pick, as an extension candidate in November, projecting that he could match Jairus Byrd‘s $9MM AAV. 8. Jeremy Maclin, WR: Maclin didn’t finish the season as strong as some of the others on this list — he averaged just five receptions for 56 yards during the Eagles’ final six games, and scored only once during that time. Maclin was adjusting to playing with a new quarterback in Mark Sanchez, however, who trailed off after a hot start and seemed to favor slot receiver Jordan Matthews at times. Nevertheless, Maclin enjoyed a strong comeback season in 2014, catching 85 balls for more than 1,300 yards while playing under a one-year, prove-it deal worth $6MM. Eagles head coach Chip Kelly said in December that it was a priority to retain Maclin, whom Luke projected could surpass Decker’s contract. 9. Jerry Hughes, EDGE: The most unheralded player on this list, Hughes has been a revelation with the Bills since being considered a bust after Indianapolis selected him in the first round of the 2010 draft. In 2014, he posted 10 sacks and graded as the 14th-best 4-3 defensive end in the league per PFF — he’d have placed much higher if not for his -9.1 penalty grade. He’d fit in either a 3-4 or a 4-3 look; in new Buffalo head coach Rex Ryan’s scheme, he’d work best as an OLB. In late December, Hughes indicated he would not be open to accepting a hometown discount to remain in Buffalo. It’s conceivable that he could garner $10MM annually on the open market. 10. Greg Hardy, DE: The most difficult player to slot on these rankings, Hardy played in just one game in 2014 before being placed on the commissioner’s exempt list after being charged in a domestic violence incident. The league is extremely sensitive to cases like Hardy’s, as it should be, and it’s beyond PFR’s purview to determine what the proper penalty for Hardy’s actions should be. But the fact remains that NFL teams pay for production, and Hardy is extremely productive. He posted consecutive double-digit sack seasons in 2012 and 2013, grading as a top-six 4-3 defensive end per PFF in both years. With his trial date set for February 9, Hardy should have some sort of resolution regarding his status shortly. If not for his off-the-field baggage, the 2010 sixth-rounder would easily be in the top half of this list, if not in the top three. As we approach Week 12 of the NFL season, teams are able to undergo something of a self-assessment and determine whether they are legitimate playoff contenders. Additionally, clubs can begin to look toward the offseason, examine their current personnel, and decide where improvements can be pursued. With that in mind, we’re unveiling the inaugural edition of PFR’s 2015 Free Agent Power Rankings, an overview of the talent available in next year’s FA class. A couple of things to keep in mind: First, we’ll only be looking at unrestricted free agents. Restricted free agency is tough to evaluate because it’s unclear at what level RFAs will be tendered. Also, restricted free agents rarely change teams, so sticking with UFAs will streamline this exercise. Second, in today’s NFL, available cap space is often utilized on five key positions — quarterback, left tackle, wide receiver, cornerback, and pass-rusher. Because there aren’t any impact QBs or LTs available in the 2015 crop, this list is exceptionally WR-, CB-, and DE/OLB-heavy. 1. Justin Houston, OLB: Leading the league with 13 sacks, Houston, 26 in January, will be the premier defensive player available when free agency begins in March. He has youth on his side, his production has increased each year he’s been in the league, and he plays one of the most critical defensive positions. Unsurprisingly, he grades as the best 3-4 outside ‘backer among 46 qualifiers per Pro Football Focus (subscription required), excelling both against the run and the pass. Jason Cole of Bleacher Report recently reported that though the Chiefs previously had concerns about extending Houston, a long-term deal is now expected to get worked out, with the edge-rusher receiving a contract that will pay him a little less than J.J. Watt. 2. Ndamukong Suh, DT: A defensive tackle wouldn’t typically be listed among top-of-the-line free agents, but Suh is unarguably a game-changer on the defensive side of the ball. He is sixth in sacks among DTs, and is a stopper against the run as well, rating as PFF’s No. 1 DT in that capacity — he also rates as the league’s best overall defensive tackle. Suh, the second overall pick in the 2010 draft, is a key contributor to a Lions defense that rates first in both yards allowed and DVOA. He currently earns about $12.9MM under the terms of his rookie contract. Fellow defensive tackle (and 2010 draft class member) Gerald McCoy recently signed a extension with an AAV of $13.6MM, a figure that Suh will surely aim to best. 3. Demaryius Thomas, WR: With a torrid 2014, Thomas, 27 next month, has cemented his status as the best pass-catcher available. Through 10 games, he’s racked up 72 receptions for 1,105 yards and six touchdowns as the No. 1 target on the league’s best offense. Thomas is tied for second among WRs with 17 receptions for 20+ yards. Doubters may opine that Thomas’ production is inflated by playing with Peyton Manning, and while there’s probably some merit to that, Thomas is still an excellent player who will do well in free agency. The Broncos don’t expect to sign Thomas during the season, and if he reaches the open market, he should reach the $14MM AAV that PFR’s Luke Adams projected in June. 4. Dez Bryant, WR: The latest news revolving around Bryant includes a rumored long-term proposal from the Cowboys in the 10-year, $114MM range, but with only $20MM in guarantees. It seems as though there’s some contentiousness on both sides, and with Bryant recently signing on with Roc Nation, talks could only get more harsh. Additionally, Dallas is short on cap space, and with DeMarco Murray also a pending free agent, the club could be faced with difficult decisions. A franchise tag is possible if the two parties can’t reach an agreement, but a long-term pact is probably in the better interests of both team and player. On the season, Bryant has 56 receptions for 793 yards and eight touchdowns. 5. Chris Harris, CB: While the 2014 free agent class contained many shutdown corners, including Darrelle Revis, Aqib Talib, and Vontae Davis, this year’s crop doesn’t have the same level of top-end talent. Additionally, a number of No. 1 CBs like Richard Sherman, Patrick Peterson, and Joe Haden have signed recent contract extensions, so positional scarcity will cause Harris’ stock to rise. It doesn’t hurt that he grades as the league’s best corner, per Pro Football Focus, who give him a +17.2 mark against the pass. While the Broncos and Harris were reportedly discussing a new deal earlier this month, talks evidently stalled recently. It’s not out of the question that Harris could match the $13-14MM per year that Sherman, Haden, et al. received. 6. Jason Pierre-Paul, DE: Pierre-Paul was perhaps the most difficult player to slot on this list. He has name value, has been a part of historic defensive units, plays a preeminent position, and is the league’s best run defender among 4-3 DEs, per PFF. However, since his 16.5-sack season in 2011, he hasn’t been adept at bringing down the quarterback. In 2014, he’s accrued only 3.5 sacks. Still, he’ll be just 26 in February, and his potential should be able to secure him a contract in the $12MM AAV range. 7. Randall Cobb, WR: Cobb is the youngest free agent on this list (he tuned 24 in August), and his youth could be a key factor in his receiving a large contact. The Packers already extended fellow receiver Jordy Nelson, and it’s unclear whether the club will want to heavily invest in one position group. Still, we heard last night that league insiders don’t expect Green Bay GM Ted Thompson to let Cobb hit free agency. Cobb leads WRs with 10 receiving touchdowns, and is tops in terms of DYAR. Although I estimated in October that he would sign a contract similar to that of Golden Tate (five years, $31MM), I’m starting to think that was a little light. 8. Jeremy Maclin, WR: The concerns about Maclin are obvious: he’ll be 27 next season, he suffered a torn ACL in 2013, and though his numbers are impressive, he plays in an offense designed to produce eye-popping statistics. Still, Maclin, who’s caught 57 balls for 921 yards and nine touchdowns, should be able to find a large deal when he hits free agency. He signed a one-year deal worth $6MM to stay with the Eagles for 2014, but as Luke noted when examining Maclin as an extension candidate, it’s conceivable that he could match or exceed the five-year, $36.25 deal that Eric Decker received from the Jets. 9. Julius Thomas, TE: Following his 2013 breakout, Thomas is again playing like of the best tight ends in the league. His 12 touchdowns lead the NFL, and he’s third in DYAR among TEs. If the Broncos are able to work out an extension with Demaryius Thomas, Julius Thomas is extremely likely to be slapped with the franchise tag. The franchise figure for tight ends, which was $7.035MM last season, would be manageable for Denver. If he does hit the open market, Thomas should easily secure a deal that would place him among the top-five highest-paid TEs. Is it possible he challenges Jimmy Graham‘s four-year, $40MM pact? 10. DeMarco Murray, RB: It might be surprising to see the NFL’s best running back in 2014 listed at the bottom of these rankings, but it’s important to remember that running back is a severely devalued position. As Grantland’s Bill Barnwell outlined yesterday, contracts for free agent RBs go awry more often than not, and Murray isn’t without question marks, specifically in the health department. Additionally, Murray could face competition from backs we know will be free agents – like Mark Ingram and Frank Gore – and those we think will hit the open market, like Adrian Peterson and Marshawn Lynch. Ultimately, Murray will probably earn a lot less than most observers currently estimate. Also considered: Cliff Avril, Brandon Flowers, Greg Hardy, Jerry Hughes, Mark Ingram, Devin McCourty, Brian Orakpo, Michael Roos, Jason Worilds.